The Nashville of Ireland is keeping things country with a brand new festival celebrating its most famous son this September. At the heart of the festival will be the unveiling of a larger-than-life sculpture of Big Tom McBride, who died aged 81 this April. 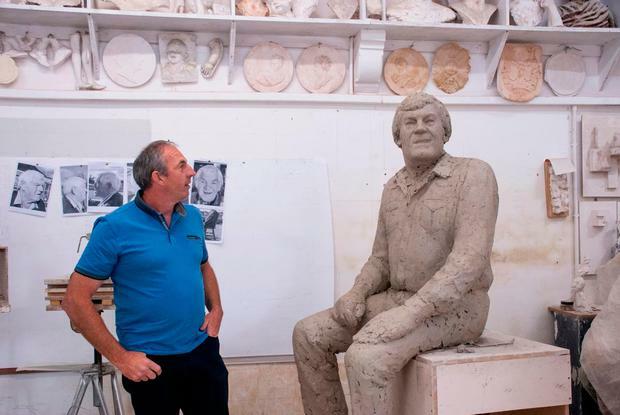 The sculpture, 1.5 times the size of the man himself, will be unveiled at 3pm on September 23, during the Castleblayney Celebrates Big Tom Festival. These photos (above & below) reveal the commission taking shape in the studio of sculptor Mark Richards in Ludlow, England. Táine King, a niece of Big Tom and the photographer who shot the studio photos, described the work as "a true likeness" of her uncle. A sitting pose reflects his status as a "man of the people," the family says. The idea of a statue originated with Margo, another local country music legend and close friend of Tom and his wife Rose McBride - who worked with the local Castleblayney Regeneration committee to bring the work to fruition. 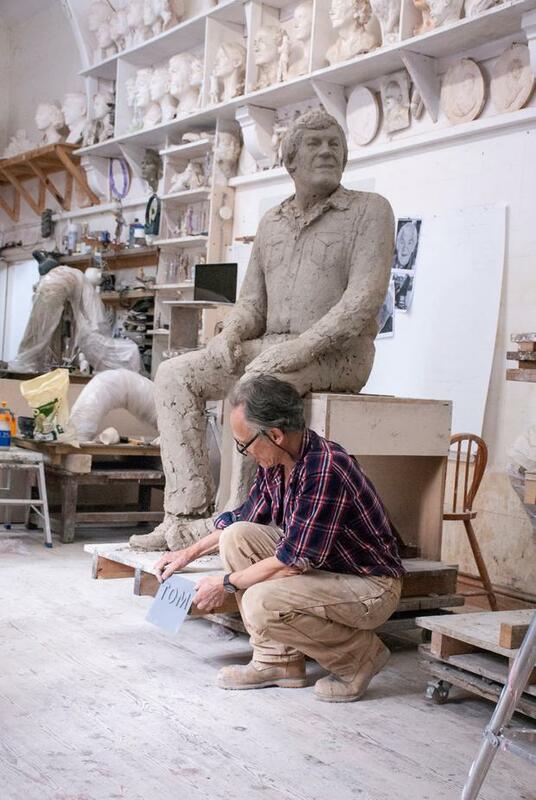 Richards, the sculptor, met Big Tom in 2017, and has also completed likenesses of hurler Nicky Rackard in Wexford and Ernest Shackleton in Athy. The Castleblaney festival (September 21-23), already in the works before Big Tom died, will see performances by country stars like Philomena Begley, Susan McCann, The Mainliners, Margo and others, as well as a showcase of Big Tom's memorabilia. The festival will also feature the unveiling of a new Castleblayney 'Wall of Fame' featuring local heroes like Anna McGoldrick, Paddy Cole, Eamonn Toal, Gerry Black, Margo and The Maurice Lynch Showband (see castleblayney.ie). In other Monaghan tourism news, a new exhibition has opened in Monaghan County Museum documenting the discovery of the remains of a Battle of Britain (1940) Spitfire in a field in Emyvale last year. The Monaghan Spitfire: Life on the Border With a World at War, will run until May 2019, with highlights including parts of the plane and an original set of Nazi invasion plans for Ireland, codenamed Operation Green; on public display for the first time. Construction is also underway on a 'Giants' Trail' at Rossmore Forest Park, with the first, 30-foot giant figure now in place at the Monaghan park. Can Kavanagh's 50th turn 'stony grey soil' into Monaghan tourism magic?